Rome, AD 54. Knowing that he will soon be assassinated, the Roman Emperor Claudius begins a secret history of his family, planning for it to emerge long after he is dead. He begins his tale seventy years earlier, in 24 BC, as the newly-cemented Emperor Augustus begins to favour his son-in-law Marcellus over his old friend and ally Agrippa. We'll be following the DVD order, which combines the first and second broadcast episodes into one. Rome, 9-8 BC. Nine years have passed. Agrippa is dead and Tiberius has been forced to marry Julia, divorcing his wife Vipsania Agrippina. Still deeply in love, he continues to meet Vipsania secretly, enraging Augustus, but Livia defends him by claiming that he had informed her of the meetings. Tiberius is briefly comforted by the presence of his brother Drusus, who quarrels with Livia before leaving once again on campaign. The making of the 1976 BBC mini-series “I, Claudius” was fraught with headaches. The specter of an ill-fated, unfinished 1937 movie version starring Charles Laughton loomed large. At one point the project died when negotiations between the BBC and London Films, which owned the rights to the Laughton effort, broke down. When taping did begin, the actors struggled with everything from their makeup to making sense of their roles as the early rulers of the Roman Empire. 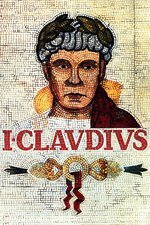 Despite the fact that the poison-and-plots-laden miniseries, adapted by Jack Pulman (who wrote every episode), is now approaching middle-age, I, Claudius—based on the 1934 novel (and its sequel) by Robert Graves—remains one of the best dramas ever to air on television, a deft masterpiece of story, character, and, perhaps most importantly, vivid atmosphere. Shot on multiple cameras (whereas today it would be shot on a single camera in a more cinematic fashion) and with a budget that didn’t include throngs of rioting plebs, the style lends an overtly theatrical and intimate air to I, Claudius, as though the television set itself were the proscenium of a great theater. It’s here that the court intrigues of several emperors—from Augustus to Caligula—play out episodically; the show itself takes place between the years 24 B.C. and 54 A.D., charting the ups and downs of the Julio-Claudian imperial dynasty as characters breeze in and out of the frame, returning decades later to enact bitter revenges or suffer themselves from the hands of poisoners, assassins, or godly whims. Absolutely brilliant series. Life changing for me because I grew up with a sociopathic biological 'mother', who wrought havoc in the extended dysfunctional family in the Machiavellian way that Livia is depicted. Amusing in a therapeutic way to see that kind of malice in another dysfunctional family setting. The acting is superb. I've watched this entire series a dozen times and it's juicy, insightful and fascinating every single time. Love the book, love the series, love Derek Jacobi in everything he's ever done, including my guiltiest pleasure, Dead Again. The first time I ever heard about I, Claudius it was as a joke on Cheers. (Frasier invites the guys over to watch I, Claudius and Sam says, "great, I love gladiator flicks.") I watched it a decade+ ago when Netflix was still mailing out DVDs. I finally got around to reading I, Claudius and Claudius the God and thought they were great but I haven't seen the series in a long time. Pencil me in! roger ackroyd, I missed Dead Again but will check it out. I remember watching it for the first time and being mesmerized. There are bits that come off as low-budget (e.g., they have about two sets and that's it) but you don't care at all because of the powerful acting, the intense drama, the intricate plot...Such a rollercoaster. Excelsior to you, man of twists and turns. It made my day, seeing this on FanFare! I first saw this in school—I had a teacher cool enough to show us the whole thing over the course of two semesters. It made such an impression on me that I acquired it on DVD as soon as possible. I just finished probably my fourth or fifth rewatch a few months back—and followed it up immediately with what I think of as the "unofficial prequel," the HBO series Rome. I remember during our first watch when Sejanus showed up, I and most other students just about shat ourselves. (This was during Star Trek: The Next Generation's original run.) Let it not be overlooked that this might be THE most dynamite cast ever assembled for a dramatic series. Of course, the one-liners are huge. "Green, you say? I've never seen GREEN before." "They say a snake bit her once…and died." Another thing I notice a little more every time I watch it: the creativity of the camerawork. Clavdivs veterans probably all know which is the absolute money shot of the series (it involves Messalina, but no it's not THAT kind of money shot, and I won't say more b/c spoilers)—but there are countless other great, yet subtle camera moves. For instance, there's a shot (in "Family Affairs," IIRC, after Livia shocks Tiberius and Augustus by claiming to have known about the fooling-around) where the camera swiftly and simultaneously zooms out from Augustus to include Tiberius, whom he yells at, in screen right. It's just flashy enough to induce a little thrill, but not so flashy that I consciously noticed it on the first couple viewings. And of course, the great pan to Livia in "A Touch of Murder" over Marcellus's corpse. Ya know, I'm watching Vikings right now, and man—compared with I, Claudius, it's astonishingly BORING. And I'm positive it's not the only prestigious period drama series of which that can be said. Kind of amazing when you consider the gap in time. I too have read both novels and they're great, but I wouldn't have enjoyed them nearly as much prior to seeing this series three or four times. Anthony Everitt has written some very accessible history books on ancient Rome, including a biography of Augustus that I quite enjoyed. I just started reading his The Rise of Rome this week, actually! And how appropriate is it that we get to discuss this on the Purple! The only thing with this show, though, is it does have a bit of a barrier for entry—the aforementioned "Who's this person again and what's their relationship to so-and-so" factor. Can't remember how hard it was to remember the characters, but luckily Clavdivs is full of memorable and distinct characters, each with plenty going on in his or her world, each with a unique perspective on the family and empire. And you can often tell their familial relationship just from the way they talk to each other. There have been more recent shows I've watched where either the casting/makeup is bland or the story didn't develop each character enough for me to keep everyone straight. E.g. : American Horror Story: Hotel (all! the! guys! look! the! same!). I think it also helps that many of the actors are famous and recognizable. My sis probably won't confuse Jacobi ("oh that guy from Last Tango in Halifax), Blessed ("but where's his beard? "), Quinn ("Magenta!! "), Hurt ("the chest guy"), Stewart ("huh, I didn't know he was in this")...even actors for characters like Herod and Tiberius would be recognizable from all the British TV we watch. So good! I watched it when it first aired in the US on PBS, and again about 15 years ago when some cable channel ran the whole series. Oh hell yes. This was the first series I ever binge watched. And on VHS no less. As soon as I finished the series I started it again. Then read the book. The series is so juicy and scandalous and funny. Livia had me in stitches the entire series. Tiberius: Frankly, I wouldn't have thought you'd care whether he lived or died. Livia: Oh, I care very much whether he lives or dies. Really? The episode title is A Touch of Murder? Come on, tell me that doesn't totally sound like an episode of a 70s detective series! And now I'm imagining the brass and percussion laced theme music and opening action montage of "I, Claudius... a Quinn Martin Production." Tonight's episode... A Touch of Murder." I'm in! I've adored this show since I watched it age 6 or 7 on its first US run. I am sure I didn't understand a lot of it that first time around ;-) but the vivid characters and situations were quite accessible. Also! A place where people will understand my username. Bonus! Ah yes, back in the days when Romans were all white. I can't help but think things like this Twitter argument between a reactionary and a modern historian over the ethnic diversity of Roman Britain owes a lot to the traditional depiction of Romans as pretty much Aryan. It really ought to be a series about a nice old luvvie investigating unpleasantness among a dwindling group of bourgeois types in an English village. "Don't look, Lavinia! I think he's ... dead." Great idea! My dad was super into this when it was on PBS in the 70s or whenever, in the way that makes a parent's children roll their eyes. I remember one dude had a gold nose, which I thought was interesting. I'll have to check the library for this. Then I can make a mashup opening montage to the theme of "Murder, She Wrote." Ooh! I remember one scene where Tiberius and his brother (I think) were in a bath after sports or training and they were scraping each others skin with this curvy skin scraper thing. Eww. One reaction I remember having is "Man, this Roman imperial family is so British!" not only because of the ethnic makeup of the cast but because the characters seem to care a lot about stereotypically British values and narratives surrounding the royal family (duty, outward family unity, etc). trivia for ian1977: That scraping thing is still a thing in parts of the world, at least in Asia. Try googling for "akasuri" (or not, if you prefer...). The scraping scene is the source of my favorite exchange in the series, where Tiberius and Drusus discuss the practicalities and ethical problems of keeping slaves! Drusus: A man should keep himself clean, not have slaves do it. Tiberius: And how's he supposed to scrape his own back? Drusus: He gets his brother to do it. Tiberius: If he hasn't got a brother? Drusus: He gets his son. Tiberius: If he hasn't got a son? Tiberius: And if he hasn't got a friend? Drusus: Then he should go and hang himself. Tiberius: I've tried it. Better to have a slave scrape your back. Confession: I will occasionally mutter "Then he should go and hang himself" when acquaintances throw up flimsy reason after flimsy reason why they can't do simple things that would improve their lives and the lives of everyone around them. I wonder if that is a reference to the old story about the Emperor Hadrian. Supposedly he was in the baths one day and saw an old man rubbing his back on a post. He asked the man what he was doing, and was told he was too poor to afford a slave to scrape his back for him, whereupon the generous Hadrian donated the money to purchase and keep a slave for this task. The next time Hadrian returned to the baths it was to find a whole group of men, hopeful of the Emperor's largesse, vigorously rubbing their backs on posts, only to have Hadrian cheerfully tell them that it's good fortune they should all find themselves together in such circumstances since they can clean each other's backs. They sound more like the values of the Sopranos or the Corleones to me, but it's all just family rackets I suppose. Parasite unseen, I loved that scene too. I tend to think of it when I see people drive away everyone that is close to them. everyone needs a friend. The scraping thing is called a strigil, and I wouldn't say it's much like body scrubs. The point is more to scrape off sweat, dirt, and oil than to exfoliate. I love that scene as well. It is brief, but sets up the two characters, Drusus and Tiberius, exceedingly well. The point is more to scrape off sweat, dirt, and oil than to exfoliate. Part of it may be that I was also watching British documentaries around the same time, especially about nationalism/monarchy and the early 20th century. (Plus I guess it is a British production, so of course there's a British filter.) Haven't seen The Sopranos so can't comment on that connection. I guess the patterns are applicable to a lot of situations. Rome-related stories in general spark off some comparison to modern history in my mind, ever since my high school history teacher assigned a project comparing the state of the US to the fall of the Roman empire. oh man, I loved this series and then bought the book to read on a long trip in those pre-E-reader days. I diagrammed family trees on the blank pages in the back of the book. Yup: soap didn't enter the Roman world until late in the empire, when it was probably introduced from Germanic peoples. Olive oil was used instead, and since oil isn't water-soluble like soap, scrubbing and rinsing won't fully remove it. So strigils were the way to go: you scrape off your oil/filth patina, rinse off and apply perfumes/scented oils afterward. Roman hygiene's a pretty cool and well-documented subject and fun to read about, as long as you don't think too much about the communal sponge-on-a-stick that would sit in a jar of vinegar at public toilets. So the first time I watched this series I had just bought the dvd set because I had heard how good it was. I popped in the first disc, intending to just watch a few minutes to see if my roommate would like it so I could suggest it for watching the coming weekend. I didn't end up being able to stop until I was like 4 episodes in. And dammit if I haven't done it again. Also I like how often we see Livia slowly and quietly crushing flowers. This sounds really interesting - it doesn't happen to be available online does it?